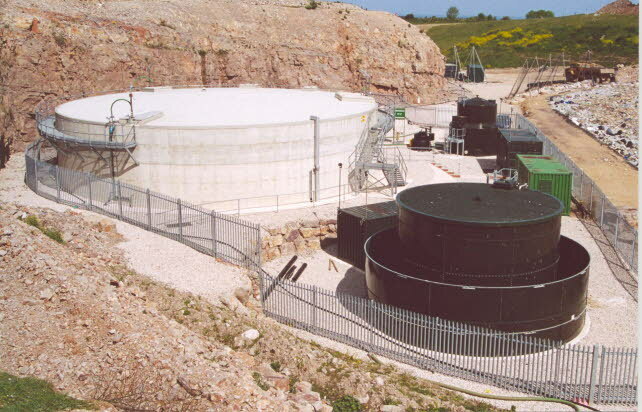 This leachate treatment plant ensures that no leachate is emitted to pollute the local streams, or underground water (groundwater). It has been carefully sited beside the quarry wall, and it will be almost completely hidden from view once the landfill has been restored. It will, of course, be needed for very many years in future to continue its work.